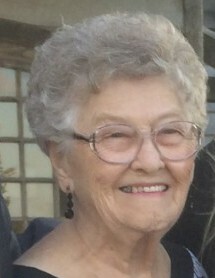 Eleanor Ullrich passed away, surrounded by her loving family, Saturday, March 23, 2019 at Ocean Medical Center. She was 91. Eleanor was born in Staten Island, NY before moving in Iselin finally residing in Brick over twenty years ago. She worked for Beth Israel Cemetery for many years. Eleanor was predeceased by her husband of 36 years, Richard Ullrich (1983). She is survived by her two children Richard (Kathy) Ullrich of Colonia and Christine (Richard) Farr of Brick; six grandchildren Amy, Jennifer, Rick, Kelly, Richie and Keith; also five great-grandchildren. Visitations will be held on Tuesday, March 26, 2019 from 4:00pm till 8:00pm at the Gosselin Funeral Home 660 New Dover Road, Edison, NJ 08820. Funeral Services will be on Wednesday, March 27, 2019 at 10:00am at the funeral followed by an Entombment at Woodbridge Memorial Gardens, Woodbridge.